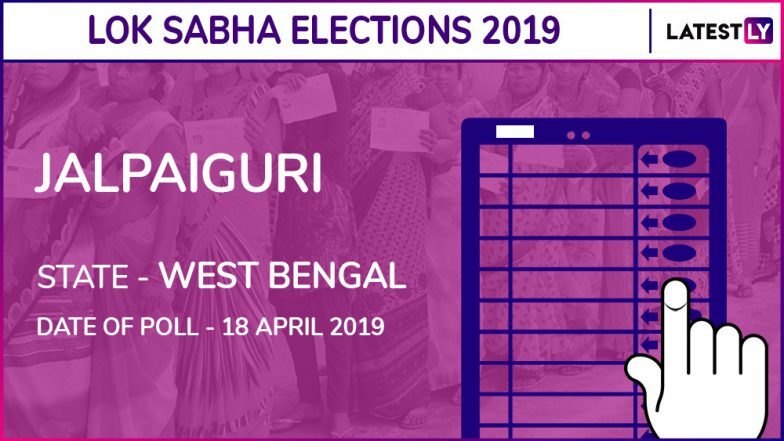 Mumbai, March 23: Jalpaiguri is another north-eastern parliamentary constituency of West Bengal which will go to polls in the Second Phase of general elections on April 18. The counting of votes for Jalpaiguri Lok Sabha election result will take place on May 23. The primary electoral contest for the reserved seat for Scheduled Caste (SC) is between the All India Trinamool Congress, Left Front, Bharatiya Janata Party and Congress. Though several other regional parties would also contest for the seat. The incumbent parliamentarian, representing the constituency is from All India Trinamool Congress – Bijoy Chandra Barman. The MP emerged victorious in the 2014 Lok Sabha Elections by defeating the Left Front candidate for CPI(M) – Mahendra Kumar Ray. This time AITC has fielded the same candidate – Mahendra Kumar Roy – for this seat. To defeat the current MP in the Lok Sabha elections 2019, BJP has fielded Dr Jayanta Ray while Left Front has fielded Bhagirath Roy. In the meantime, Congress has fielded Mani Kumar Darnal from Jalpaiguri seat. West Bengal Lok Sabha Elections 2019 Dates: Constituency-Wise Complete Schedule Of Voting And Results For General Elections. As per the ECI website – updated on March 13, 2019 – there are 12,52,142 voters in the parliamentary constituency, among them 66,27,77 are males while 5,89,385 are females. The average literacy rate is 73.79 per cent, and the main occupation of people is agriculture, tourism and trade of essential commodities. The female to male ratio is 954. According to the Election Commission’s briefings, the process of filing nomination for Jalpaiguri Lok Sabha election has already begun on March 18, which would continue till March 26. Scrutiny will be done on March 27, and the last date for the withdrawal of the nominations will be March 29. The polling will take place on April 18.. In 2014 Lok Sabha polls, AITC bagged 34 seats – gaining 15 more than 2009, while CPI(M) could win only two seats – Raigunj and Murshidabad. Congress emerged victorious on four seats, and BJP opened their account from Asansol and Darjeeling. Lok Sabha elections will take place in seven phases across the state – on April 11, April 18, April 23, April 29, May 6, May 12 and May 19. The results would be declared on May 23.